Key Difference: A chip is also known as a Integrated Circuit, it is an assembly of electronic components that are fabricated in a single unit, whereas wafer refers to thin slices of silicon that are used in the formation of integrated circuits as the integrated circuits are embedded in these wafers. An integrated circuit is known as a chip, it is a small electronic device that is a package of circuits, pathways, and transistors etc, all working together in order to carry out a particular task or may be a series of tasks. The chips are the backbones for most of the modern electronic devices like microprocessors, audio and video equipments and automobiles. The integrated circuit is embedded in the wafer. A chip contains electronic components like transistors. Chip is a short name to refer to ‘microchip’. They are used for providing the logic circuitry. 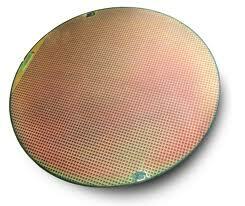 semiconductor material and this slice is used for the fabrication of integrated circuits. It acts like a base on which an integrated circuit can be formed. These thin slices are regarded as heart of electronic products. The microcircuits on the wafers are constructed by the diffusion and deposition of various substances. The ever-growing industry of electronics always tends to form thinner chips that are more efficient and economically cost less in comparison to the previous versions. Raw silicon is converted into single crystal substrate by going through various steps. Most of the silicon is made by reduction of SiO2 with carbon and hence, commercial brown Metallurgical Grade Silicon is obtained. It also needs to be further purified and thus MG-Si is reacted with Hcl to obtain TCS. This process is able to remove impurities like Fe, Al and B. Then, with the process of crystal growing, the samples with a singular crystal orientation are obtained. Later with the help of monocrystalline seed, a round crystal is obtained. Thin slices of the crystal are obtained and these slices are known as wafers. Later the growth process takes place and finally the various machines are employed in order to obtain the desired characteristics like shapes, etc. Wafers are available in various diameters. The difference between a wafer and a chip resides in the relation between them. A wafer acts as a base for chip or chip is embedded in the wafer. 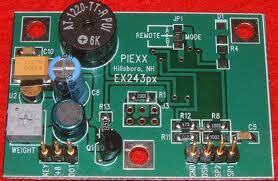 They together form the important unit that is widely used in the world of electronics.